I absolutely love this photo! It was taken last week at Butlins by Teen (here on the left) for a group selfie!! The reason I love it is obviously because I have all my children together. I never, ever get a photo of my kids all together because, well, Teen doesn't want to pose of course! Not that I blame him, it IS slightly awkward when someone wants to take your picture, how to stand, how to smile etc! Younger kids don't care, they're usually happy to oblige, and Teen is happy doing his own selfies to post on his countless social media channels but to pose for me? No way, absolutely not!! We were sitting having some refreshments in the little coffee shop within the Wave Hotel where we were staying at Butlins. I'd had a coffee and we were all chilling out on the large comfy seats! The twins were cuddling up to me so I grabbed my phone hoping to get a snap of me with them. Teen was in happy spirits and jumped in, took the phone to take the shot and my daughter jumped in too!! Very spontaneous but then the best things usually are aren't they? 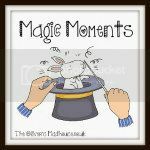 Filed Under: Butlins, Magic Moments, What's the Story? They are gorgeous – what a lovely photo. What a lovely story. I think it goes to show what a fantastic holiday you were all having.